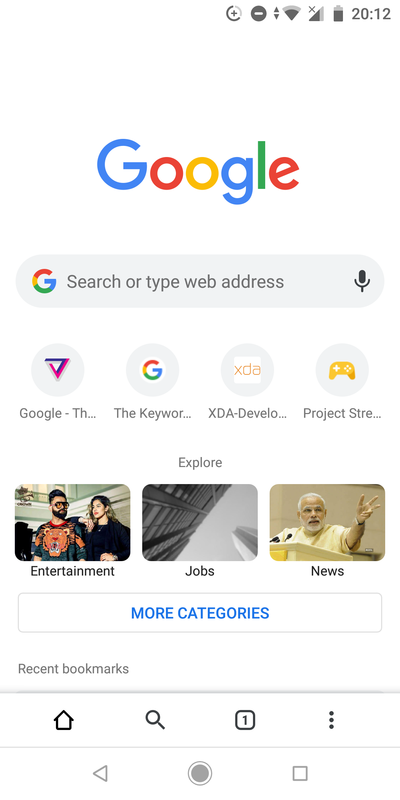 Google appears to be testing a new content discovery interface in the Chrome browser's new tab page called 'Explore,' and you can access it on Android right now by enabling an experimental flag. 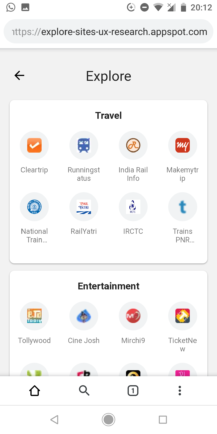 The interface is clearly in its early stages, and contains a large number of placeholder sites at the moment - most of them of specific interest to Indian users. 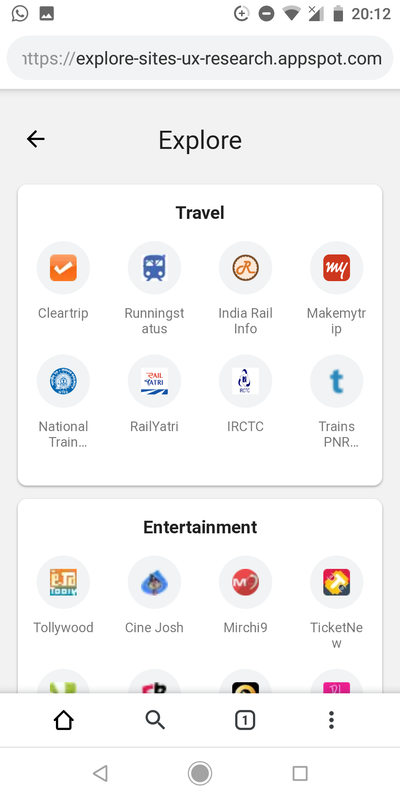 I don't actually think this suggests the feature will be targeted to the Indian market, necessarily, just that the websites appearing in this new UI have been chosen as examples by whoever is in the process of developing it. 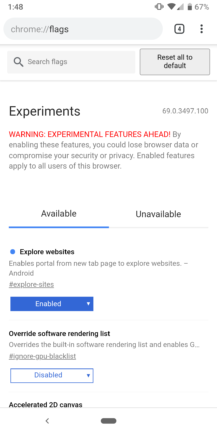 In short, you can think of 'Explore' as an extremely broad "channel" browser meant to present websites that could potentially be of interest to you. 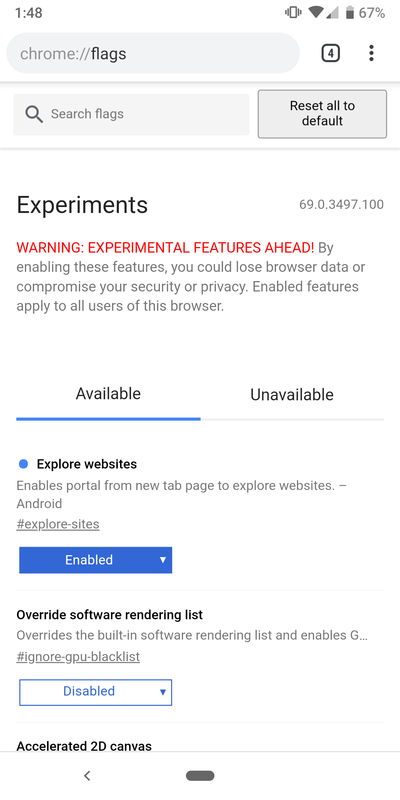 It's not clear if this will be based on your individual habits (knowing Google, though, that's almost certainly a yes) or if it will be more broadly tailored to locales and regions than specific users. 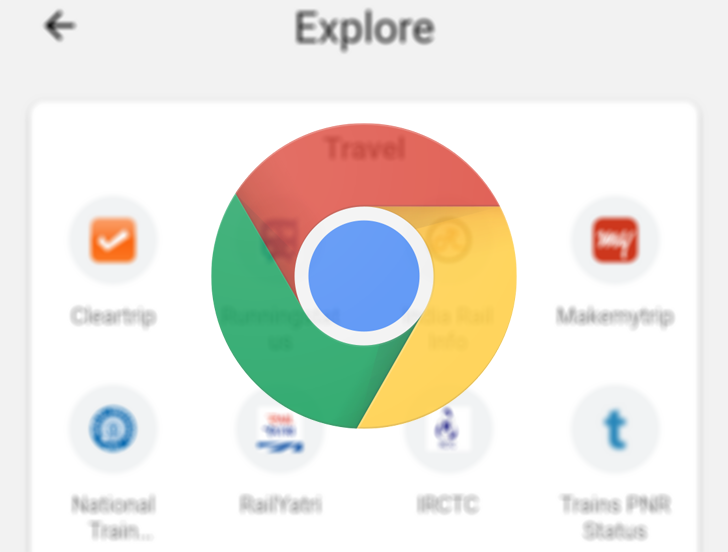 To enable the Explore interface, go to chrome://flags in your browser, search for 'explore' (it shows up in Chrome stable for us here), and you should see the 'Explore websites' flag. Set it to 'enabled' and relaunch Chrome, then open a new tab. 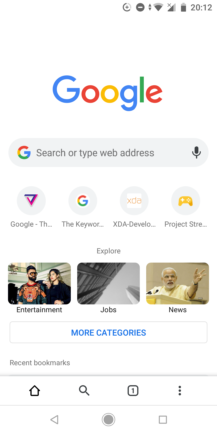 The Explore interface should then appear on the new tab page. Right now, as I said, it's just a bunch of Indian websites - so it's not really useful to anyone not doing a lot of Indian-specific browsing. Unless you're particularly curious about train schedules in India, or Bollywood news. And as with many Chrome flags, this could just end up a feature test that never makes it out into the wild; an idea that gets shelved for one reason or another. It's certainly interesting, though, and just one of many ways Google is doubtless considering to get content in front of you before you actually have to go looking for it.